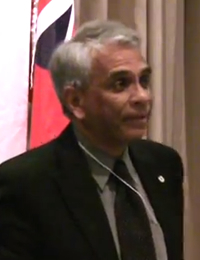 On October 27, 2012, Freedom Party of Ontario held its “3 Rs” dinner at the Primrose Hotel in Toronto. The video of the event was released in parts. This is Part 3: A speech by Salim Mansur, a professor of political science at the University of Western Ontario. Mansur’s speech focused upon the problem of multiculturalism.